At least four people including a local tribal elder were killed in a suicide car bomb attack in eastern Nangarhar province of Afghanistan. The provincial government media office in a statement said the incident took place at around 6:30pm local time in the vicinity of Rodat dsitrict. The statement further added that the attack in Kabul Camp area left the local tribal elder Haji Hayat and three of his family members dead. According to governor’s office, Haji Hayat’s son was also wounded in the suicide car bomb attack. The incident took place as Haji Hayat Khan was on his way to Jalalabad city from Kot district, the statement said, adding that the suicide bomber used a mini truck packed with explosives to carry out the attack. 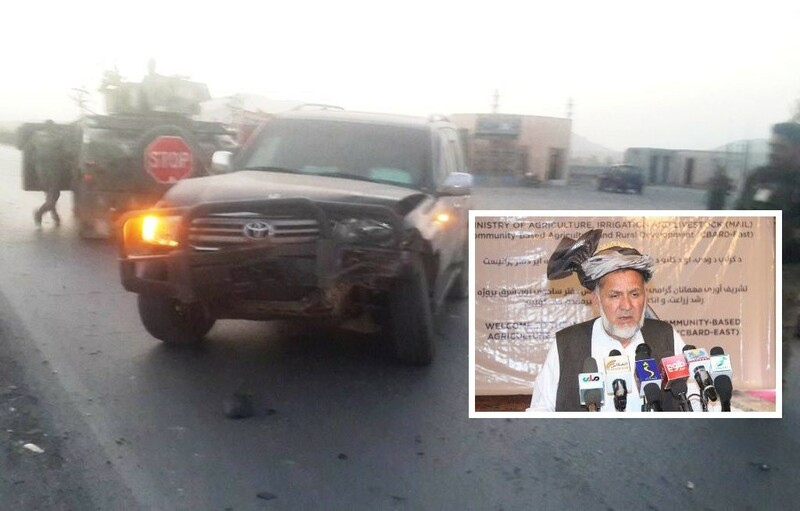 Haji Hayat Khan was also a nominee for the upcoming parliamentary elections and three of his family members killed in the attack were serving as his security guards and driver, the provincial government added. The statement by the provincial government also added that Haji Hayat Khan’s son has sustained minor injuries in the attack.